Dynamic scales (Checkweighers) are designed to control the weight of various commodity units (controlled objects): individual packages with a product, single-piece products, boxes, etc. The process of dynamic weight control consists in the continuous movement of controlled objects through a weight-measuring conveyor. 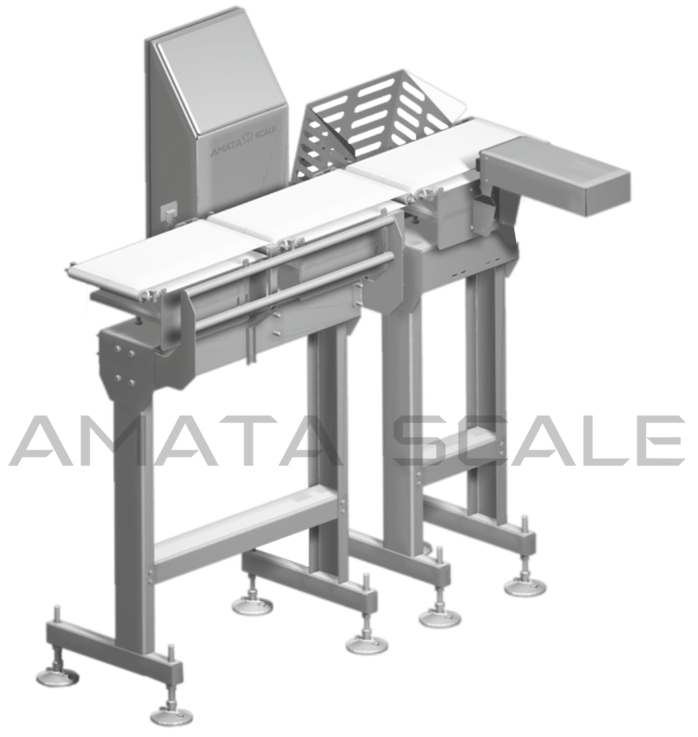 Dynamic scales (Conveyor scales or Checkweighers) are designed to control the weight of various commodity units (controlled objects): individual packages with a product, piece products, boxes, etc. With the help of the control panel, the nominal weight is established, as well as the permissible maximum deviations of the weight of the object under control. In the process of passing the controlled object by the weight-measuring conveyor, its actual weight is compared with the nominal one and the compliance with the maximum deviations is checked. Objects whose actual weight is beyond the limits of the established parameters are rejected. Various additional options can be used to receive the rejected product: a basket for collecting defects, a gravitational roller table, a rotary table, or others. For special equipment, the warranty period is 12 months without limiting the number of operating cycles.